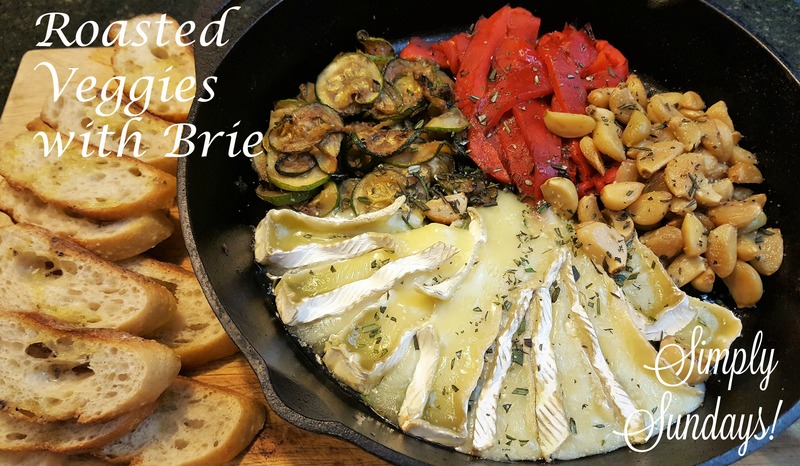 Roasted Veggies with Brie – Simply Sundays! It makes a nice presentation to place the pan right on a cutting board table side – just forewarn everyone that it’s HOT! This elegant appetizer tastes as good as it looks! This was so good I feel like you need to change the name!!! Roasted veggies and brie just doesn’t cut it! I made this as a light meal for our anniversary with some red wine and my husband couldn’t get enough of it! Then I took the leftovers and added it to a frittata in the morning! The veggies no longer taste like veggies when they are roasted the flavor is so mild and the cast iron skillet made it cook to perfection. Loved it! This was so easy, so incredible I am just blown away! Sometimes I have to make recipes two or three times before I feel good about them. This was perfect the first time! I added the leftovers to my frittata in the morning and it was phenomenal! Definitely. An appetizer to wow your guests! Love the leftover frittata idea! I’ll have to give that a try!